Dudley bronze dog sculpture urn is a truly unique and vintage looking urn for your dog's ashes or keepsake urn for a token portion of your dog's cremation ashes. 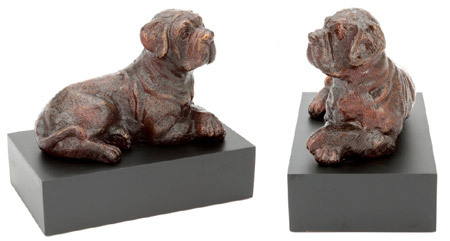 The Infinity Collection is a range of pet urns that will become pricesless to you as each urn honours the life of a loved one, forever. You can be assured that each piece has been hand casted and hand finished ensuring it possesses a spirit of individuality. Each piece is a work of art and communicates passion, love and rare beauty, creating an urn as unique as the individual it will serve. 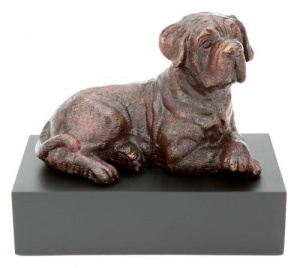 This dog sculpture urn is made from solid durable aluminium, finished in antique bronze. 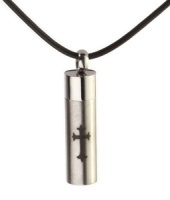 Your dog's ashes can be safely placed in the urn via the secure bottom opening base. Capacity of box: approx 74 cubic inches - suitable for ashes remains of a pet body weight approx 74 lbs or 34kg.